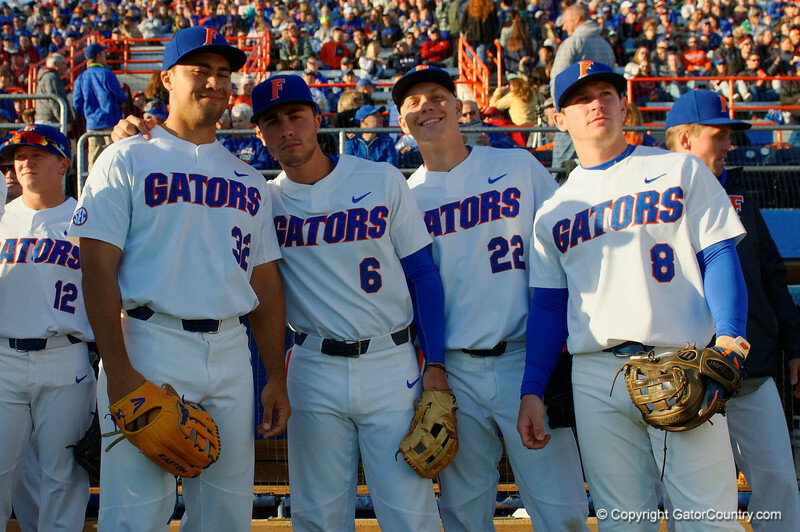 University of Florida Gators outfielder Keenan Bell,University of Florida Gators infielder Jonathan India,University of Florida Gators catcher JJ Schwarz and University of Florida Gators infielder Deacon Liput prior to taking the field as the Gators host and defeat the Florida State Seminoles 1-0 at McKethan Stadium. March 14th, 2017. Gator Country photo by David Bowie.